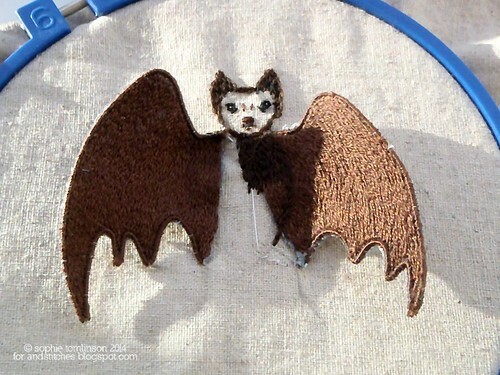 Today we have a tutorial for you about using wired elements in your stitching. This is a stumpwork technique so would be ideal for our Old stitches, New tricks competition. You will often see this technique used for leaves, petals and wings. You will need small pieces of fabric to work the wired elements on, florists wire (I prefer to use paper covered wire), sewing thread and embroidery thread. To start draw an outline of one of the shapes you want to make onto a piece of fabric. If possible use fabric in the same colour you are going to embroider the object (eg green fabric for a leaf). 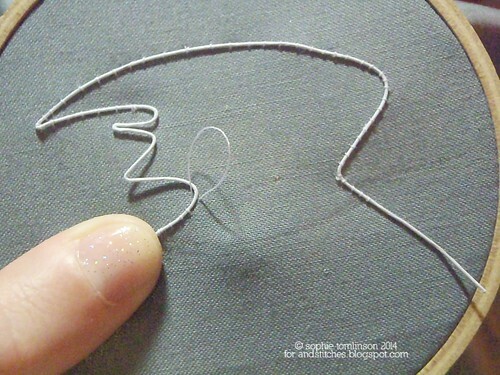 You then need to couch your wire around this outline using sewing thread- use matching thread if you can. For a petal both ends of the wire will end at the same place, creating a complete loop of wire. In this photo, because I am making a bat wing, I have started and finished the wire at the points where the wing meets the body. 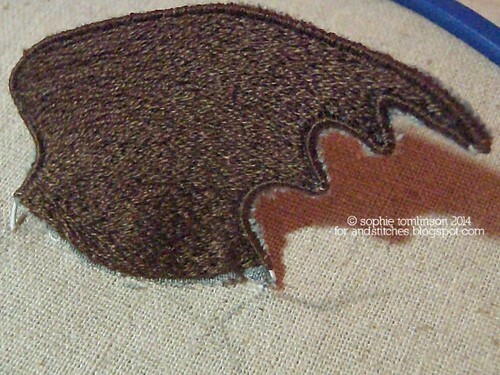 Trim the wire ends leaving a short length of 1-2cm to attach it to your embroidery. Next we need to hide that wire. Make tiny stitches over the wire all the way round- this is called 'trailing'. keep them as close as possible to the wire- you don't want to cut through them when you cut out the shape! 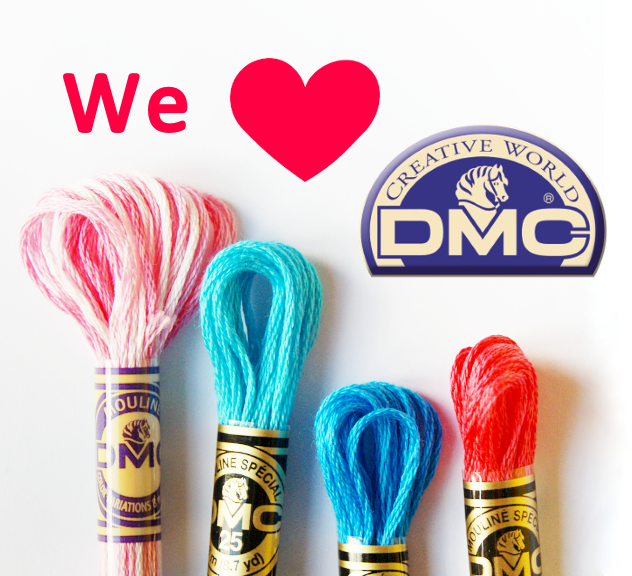 Embroider your wired element as desired. This next step is probably the trickiest. 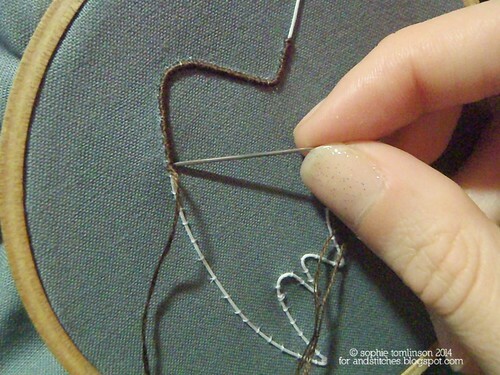 Using your smallest, sharpest scissors cut out the shape as close as possible to your stitching. You probably will have some fabric showing, thats why it helps to work on matching coloured fabric. If it bothers you you can use a paintbrush with a little fabric glue to smooth these little bits towards the back or you can work buttonhole stitch around the outside of the piece to hide the edge. You can now attach the finished wired piece to your main embroidery- carefully poke the wires through the fabric of your main embroidery and secure with a few stitches to the back of your work. Don't worry- this will be hidden by the stitching on the front. If you are making a petal or a leaf both wires will go through the same hole. I have attached my bat wing early on in the embroidery so that it is easier to see but I would usually do it once the embroidery is nearly finished. This is because it's a pain working around a wired bit sticking up from your embroidery surface! Finally cover any raw edges with stitching- in this piece the edge of the wing that meets the body will be completely covered with stitching. You can also gently bend your wired piece into shape.